I stumbled across this marker while exploring Burlington during the second day of our F@ll 2017 trip through New England. 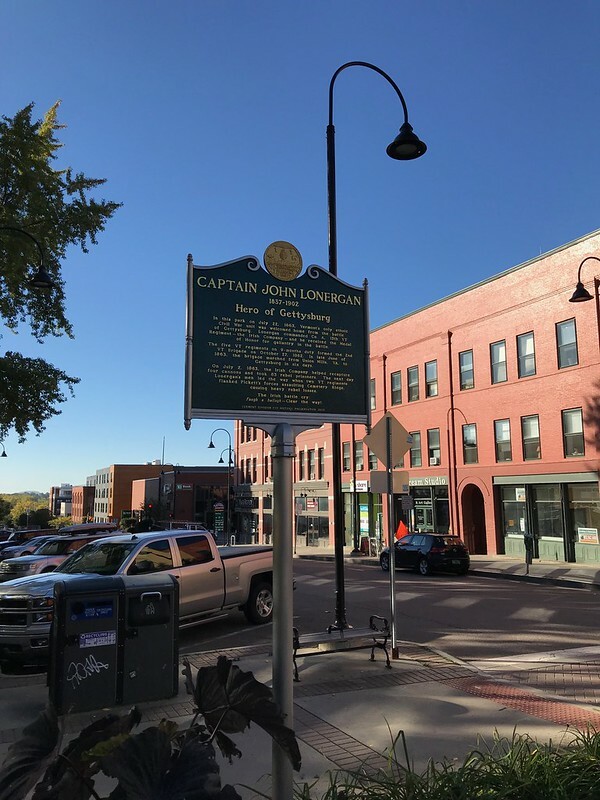 This marker is located at 115 St Paul Street, Burlington, Vermont. The GPS coordinates for this location are 44° 28' 35.5" N 73° 12' 50.2" W.
In this park on July 22, 1863, Vermonts only ethnic Civil War unit was welcomed home from the battle of Gettysburg. 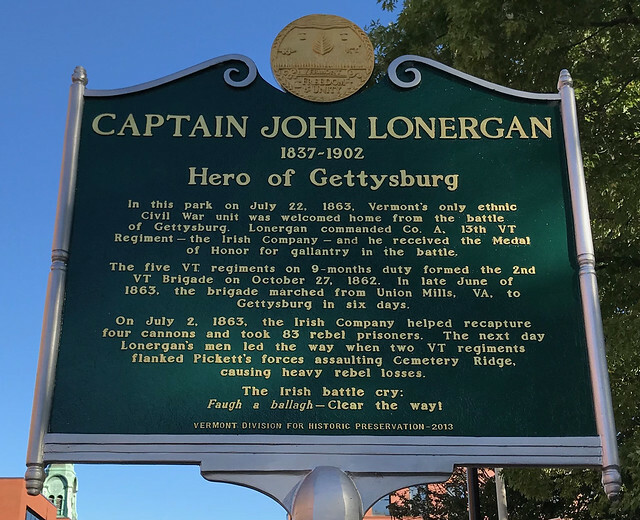 Lonergan commanded Co. A, 13th VT Regiment the Irish Company and he received the Medal of Honor for gallantry in the battle. The five VT regiments on 9-months duty formed the 2nd VT Brigade on October 27, 1862. In late June of 1863, the brigade marched from Union Mills, VA, to Gettysburg in six days. On July 2, 1863, the Irish Company helped recapture four cannons and took 83 rebel prisoners. The next day Lonergans men led the way when two VT regiments flanked Picketts forces assaulting Cemetery Ridge, causing heavy rebel losses. Faugh a ballaghClear the way!